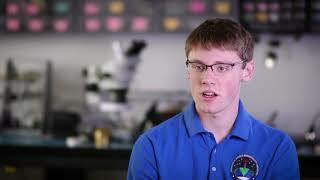 In a UB class, students are helping Western New York companies go greener. 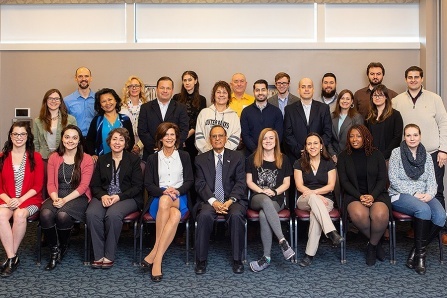 This year’s Fulbright class boasts of a “record number” of applicants and award recipients. 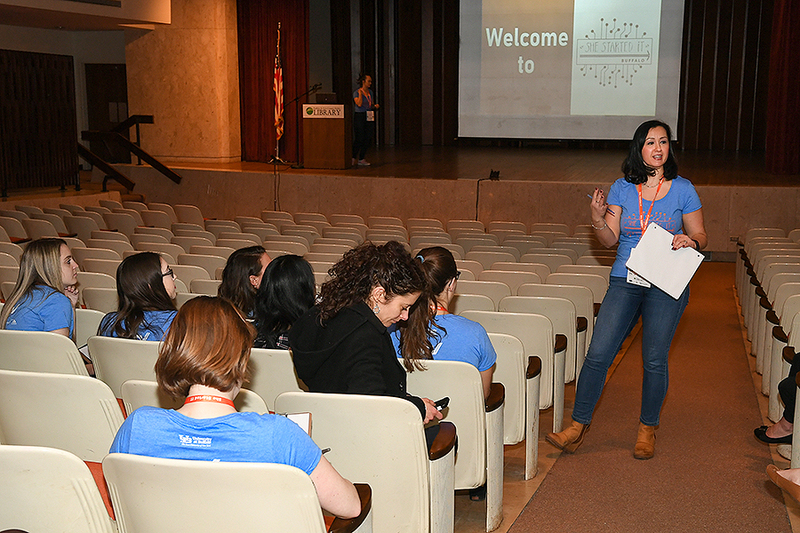 Hadar Borden, director for UB’s Blackstone LaunchPad powered by Techstars, welcomes volunteers to She Started IT. 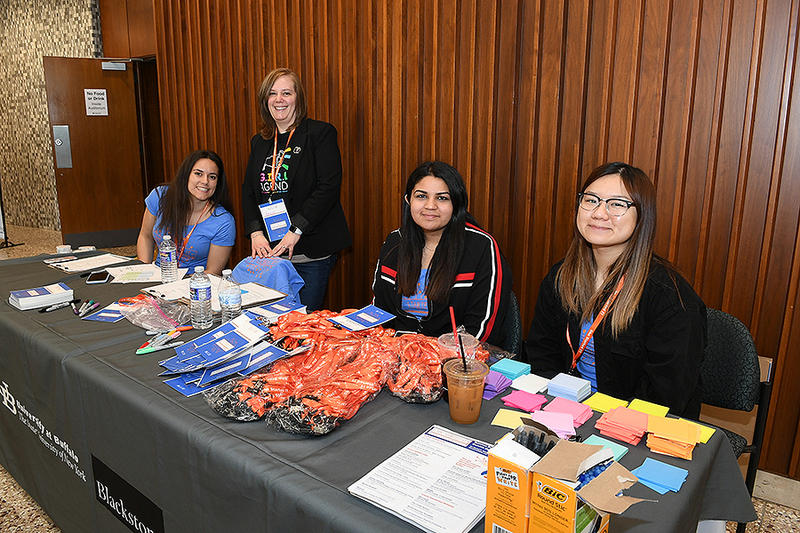 Volunteers, including many tech professionals, made the event possible, assisting with everything from registration to demos. 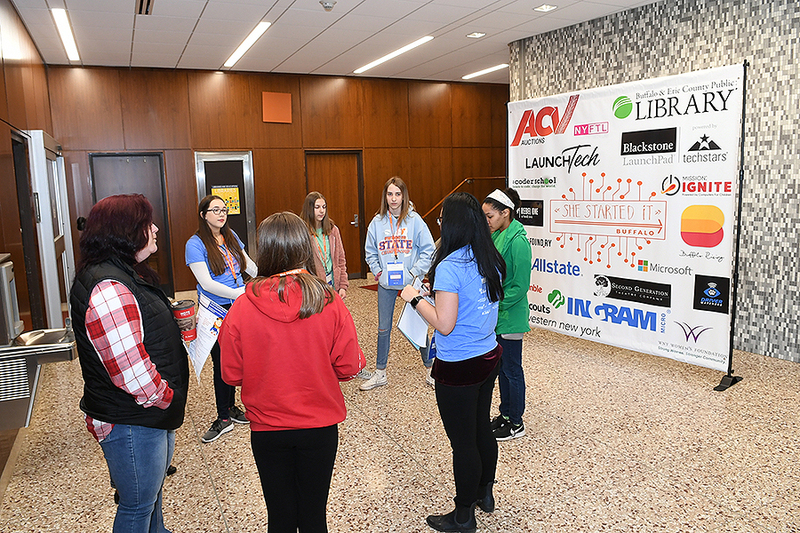 From left: UB student Gianna Damico; Amanda Dzierzanowski, Girl Scouts of WNY; and UB students Ishana Pandit and Elaine Liu. The event drew about 100 participants from across the region. 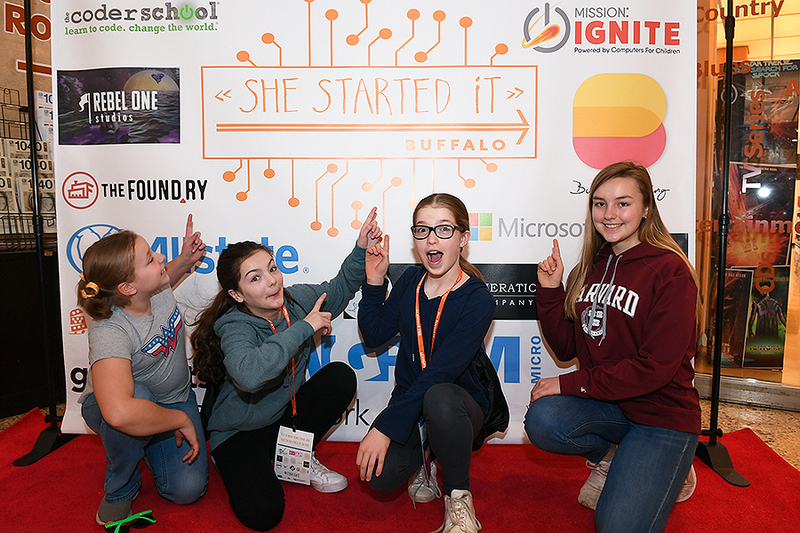 The free event gave young people the chance to learn about potential careers in tech and entrepreneurship, and to meet Western New York women working in tech and startups. 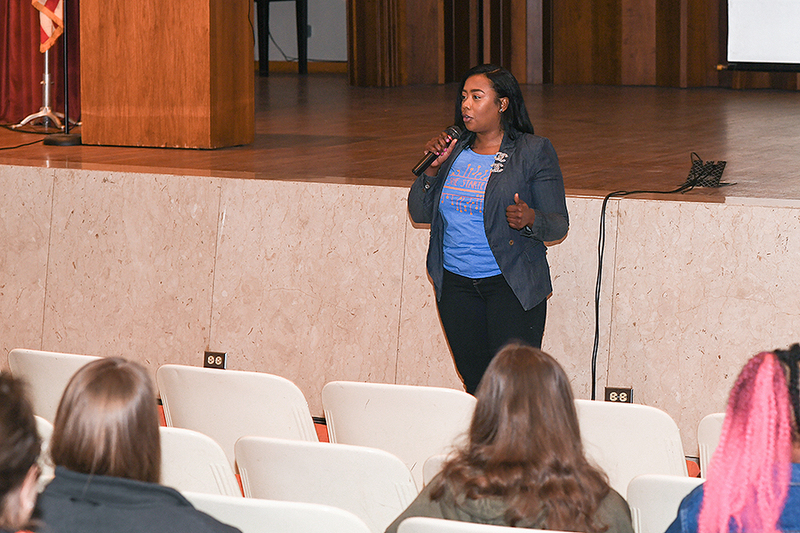 Venus Quates-Major, founder of LaunchTECH, a management consulting and IT services firm headquartered in Buffalo, shared her story as an entrepreneur in the tech industry. 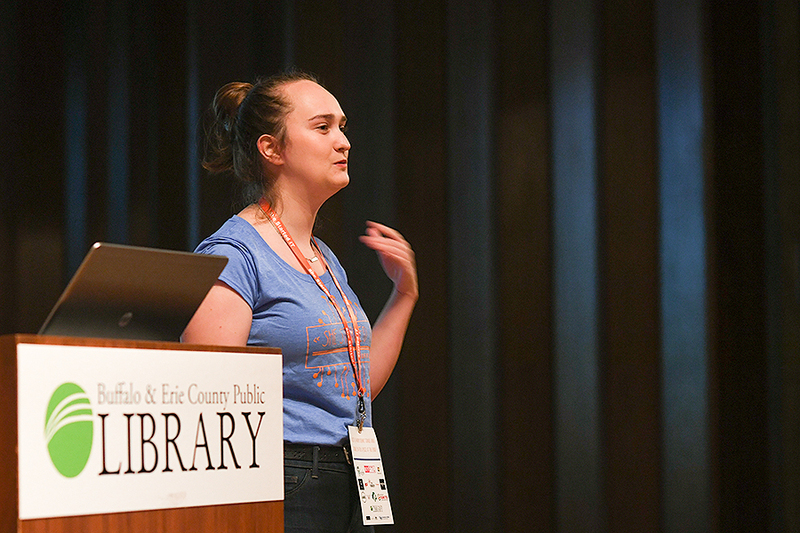 The lead student organizer of She Started IT, Rebekah Depugh, a junior in the School of Management, leads attendees in an exercise. 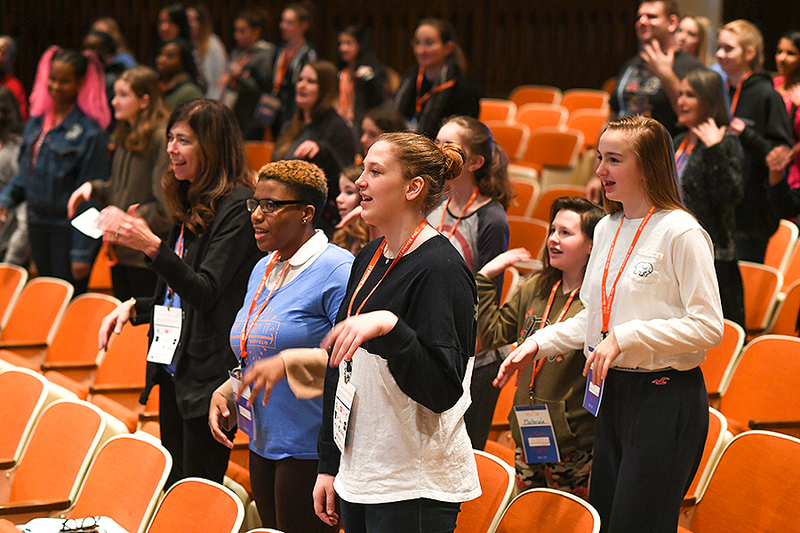 Attendees respond to prompts by Kelly Copps, a UB graduate and co-founder of Second Generation Theatre, who joined She Started IT to share tips and tricks to build the confidence of girl founders as they present their ideas. The event took place from 10 a.m. to 2 p.m. on April 13. 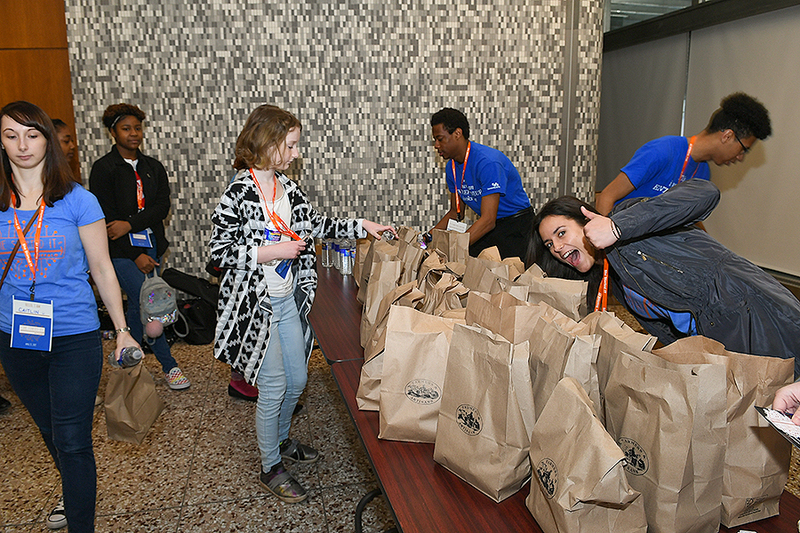 Lunch was provided as part of the program. 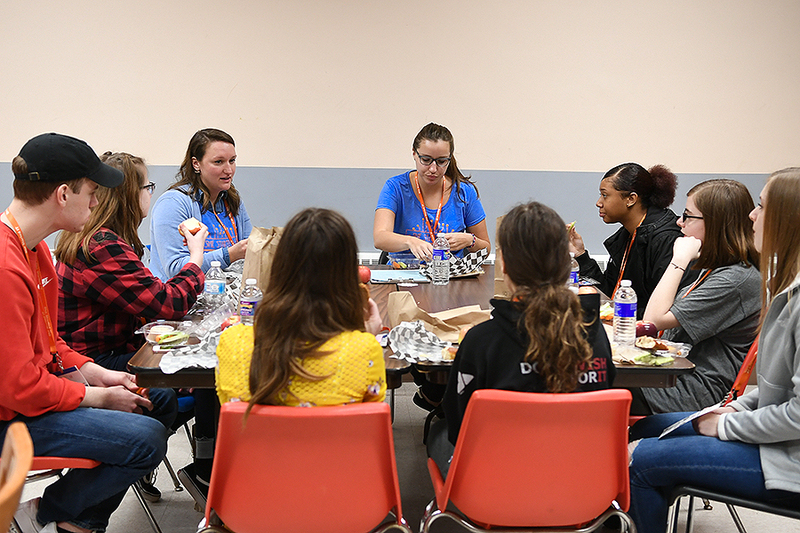 During lunch, participants discussed careers and opportunities in tech and computing with tech professionals volunteering as facilitators. It was one of many opportunities that attendees had throughout the day to meet with people working in the startup and computing sectors. 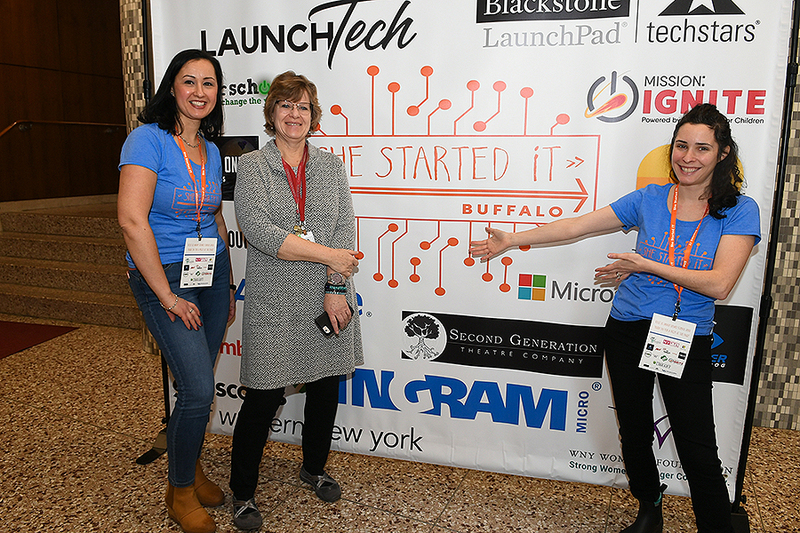 Event organizers Hadar Borden (far left), program director for UB’s Blackstone LaunchPad powered by Techstars, and Alex Cleary Pelc (far right), the LaunchPad’s student engagement coordinator, with Anne Conable (center), manager for community engagement at the Buffalo and Erie County Public Library and a member of the She Started IT planning committee. The poster highlights event sponsors and presenters. 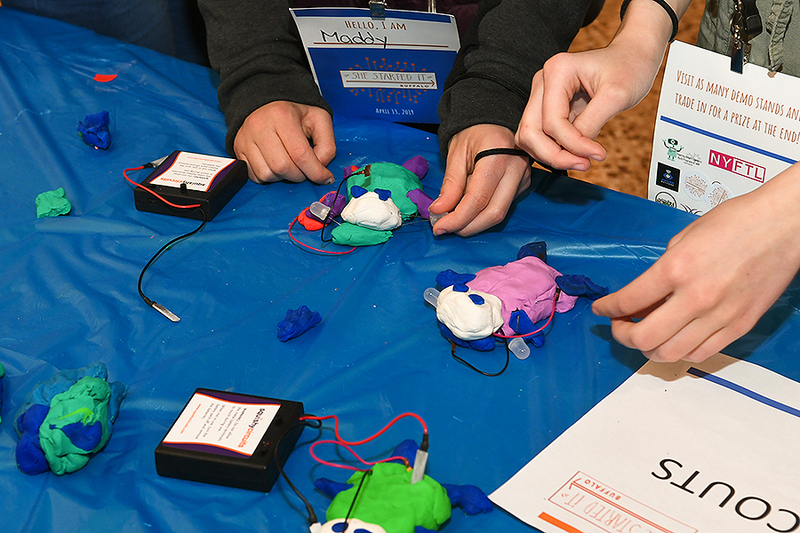 Students participate in hands-on demos during She Started IT. 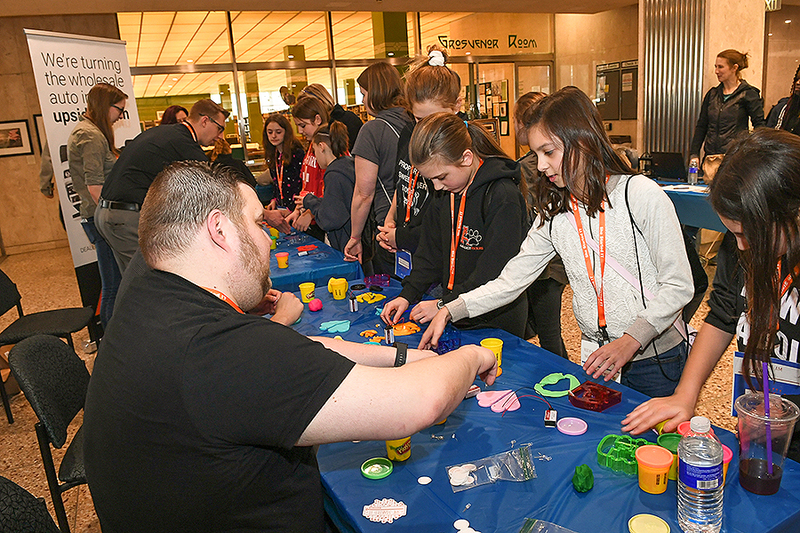 The event took place at the Buffalo and Erie County Public Library’s Central Library in downtown Buffalo. 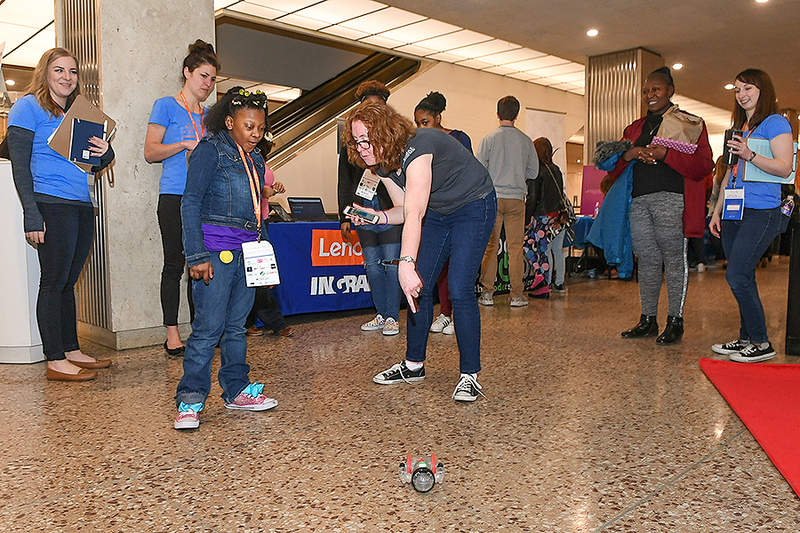 An attendee learns about a remote-controlled mini-robot operated by a volunteer with the Coder School Buffalo. She Started IT included a number of interactive demos that gave students hands-on experiences in working with technology. 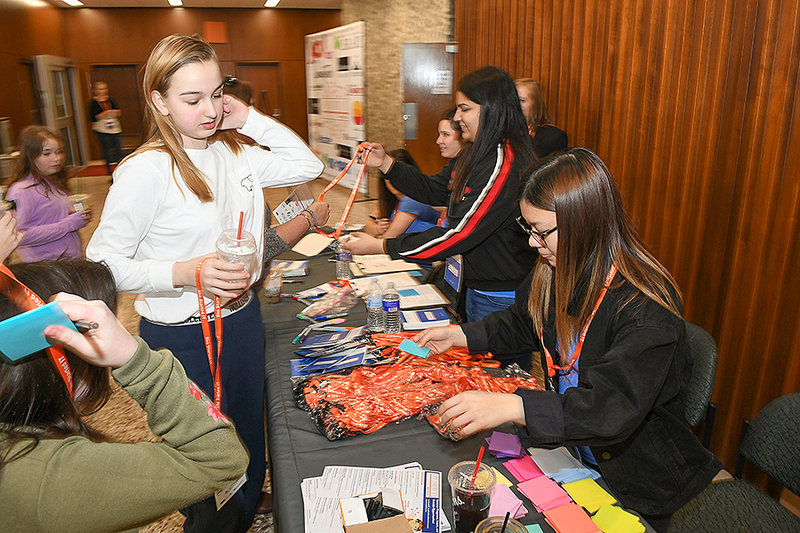 The event drew participants from across Western New York.